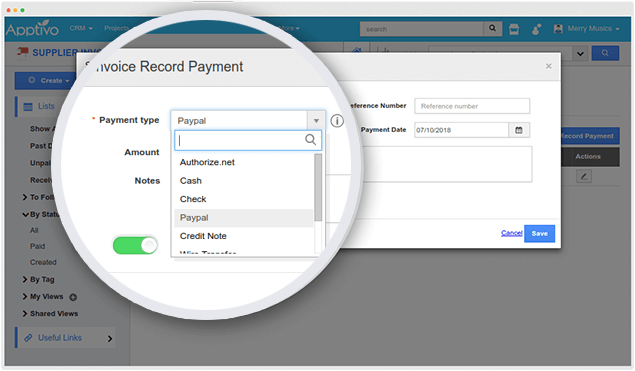 Record the money owed to Suppliers for the purchase made utilizing Apptivo Supplier Invoices items. Supplier Invoices are nothing but the Invoices that are utilized for recording money owed to Suppliers and any tax pertinent to the purchase. Supplier Invoices are generated subsequent to receiving Items from the Suppliers. 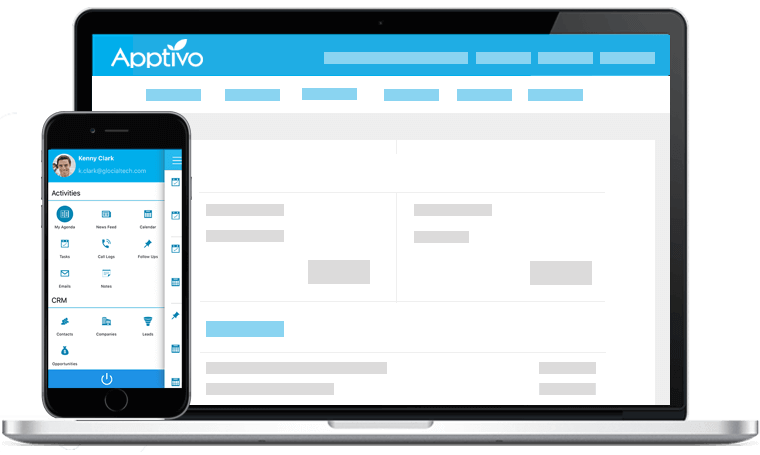 Tweak your Supplier Invoices according to your necessity using Apptivo. 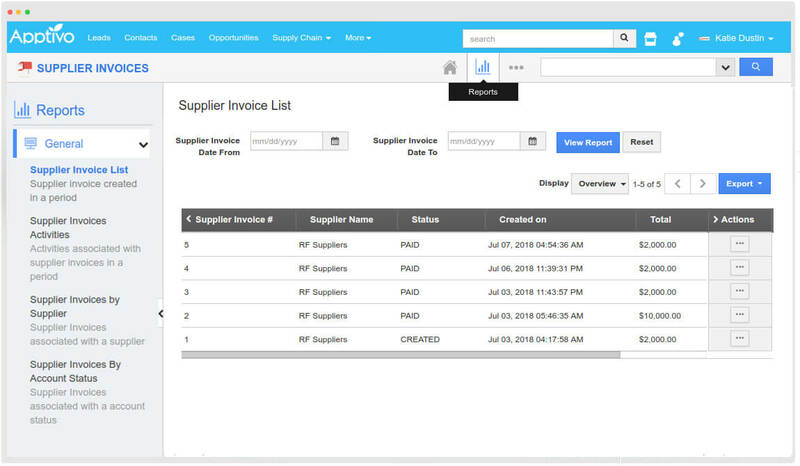 Get a comprehensive overview of all your supplier invoices you have generated within a period and with its associated activities. 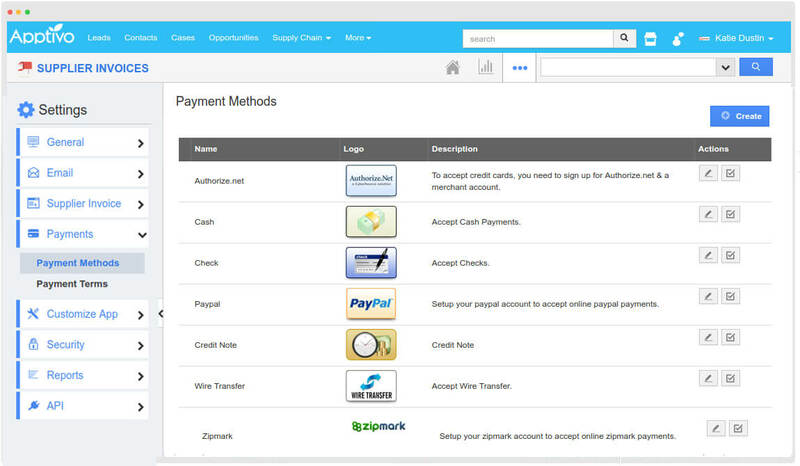 Make your payments go easier using various online payment methods. If those payments does not suits you, then create and setup your own payment method. 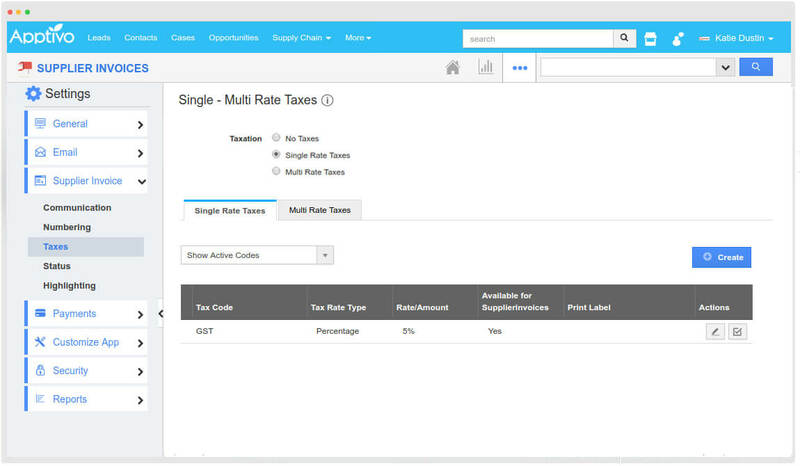 Create your Single/Multi rate taxes manually and set up your tax codes for the invoices by customizing “Taxes“ in the Settings option. 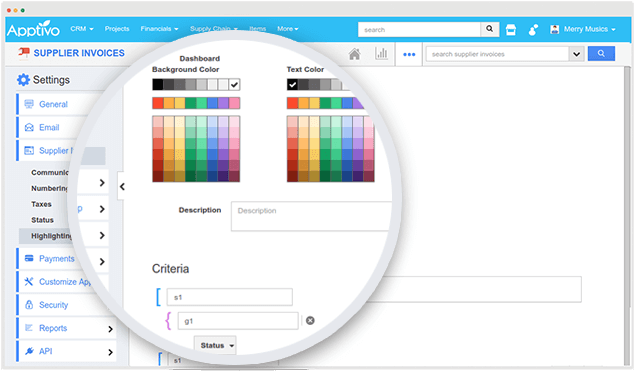 Highlight your supplier invoices with different colors to identify the major objects, by providing a different criteria to get satisfied. 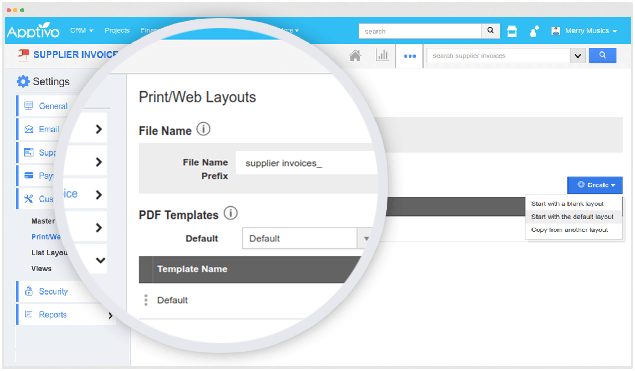 Create your own customized PDF templates of the supplier invoices and select the preferred layout which needs to be sent to the Customer. Generate an invoice for your suppliers after receiving your products and record the payment provided by those suppliers.